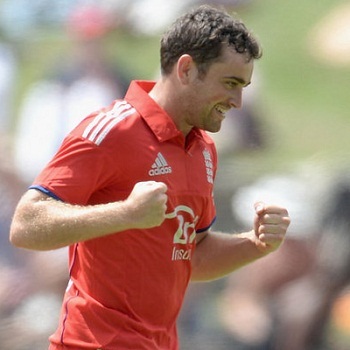 England 7-163 (Michael Lumb 39, Ravi Bopara 38*, Stuart Broad 28*, Nikita Miller 2-28) beat West Indies 159 (Lendl Simmons 70, Dwayne Bravo 20, Stephen Parry 3-32) by three wickets. The innings of the Windies was squeezed for 159 mere runs in 44.2 overs and the Englishmen thrashed 163 with three wickets remaining and 31 balls still in hand. Stephen Parry (England) was declared ‘Player of the match’ for his outstanding spin bowling in the game. The second One Day International of the three match series was held on Sunday, March 2, 2014, at Sir Vivian Richards Stadium, North Sound, Antigua. Earlier, Stuart Broad, the skipper of England, won the toss and invited the hosts to bat. The top order batting of the Caribbeans scrambled and they were three down for 30 when Lendl Simmons took over the situation. He shared a few small partnerships and the biggest one of the innings containing 52 runs was witnessed with Dwayne Bravo who was dismissed for 20. Simmons achieved his 15th ODI fifty and was dismissed for 70 off 98 balls with 2 lofty sixes and 4 fours. The lower order batsmen were unable to perform well and the entire West Indies team was bowled out for 159 with 34 balls still in hand. The debutant left arm spinner, Stephen Parry was the top wicket taker with three, Joe Root and James Tredwell held two each whereas Stuart Broad, Moeen Ali and Tim Bresnan shared one wicket each. The visitors lost two batsmen for 30 in 7.6 overs when Joe Root got together with Michael Lumb. The pair embarked on the chase but crept to 79 when Lumb was declared leg before wicket off Nikita Miller for 39. Root did not stay longer at the crease and was caught and bowled by Dwayne Bravo for 23 as the score touched 81. 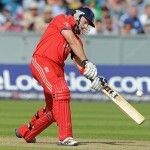 The middle order batting of England failed again, the wickets kept on sliding and they were reeling at 7-105. Ravi Bopara held his nerve and kept on cruising towards the target along with Stuart Broad who was playing a smooth innings at the other end. Broad hit the winning boundary and remained unbeaten for 28 while Bopara stood firm for 38 as the tourists smashed 7-163 in 44.5 overs. Dwayne Bravo and Nikita Miller were the highest wicket takers with two each whereas Ravi Rampaul and Sunil Narine got one wicket each. England clinched the encounter by a margin of three wickets and levelled the series at 1-1.